In thirty-six thrilling days, Melanie Radzicki McManus hiked 1,100 miles around Wisconsin, landing her in the elite group of Ice Age Trail thru-hikers known as Thousand-Milers. In prose that is alternately harrowing and humorous, McManus takes you with her on an “into-the-wild” Ice Age experience through Wisconsin’s forests, prairies, wetlands, farms, and far-flung small towns. Follow along as she worries about wildlife encounters, wonders if her injured feet will ever recover, and searches for an elusive fellow hiker known as Papa Bear. Woven throughout her account are details of the history of the still-developing Ice Age Trail—one of just eleven National Scenic Trails—and helpful insights and strategies for undertaking a successful thru-hike. Melanie Radzicki McManus has been a news reporter at a Green Bay radio station, a press secretary at the Wisconsin State Capitol, and editor of two Wisconsin publications. 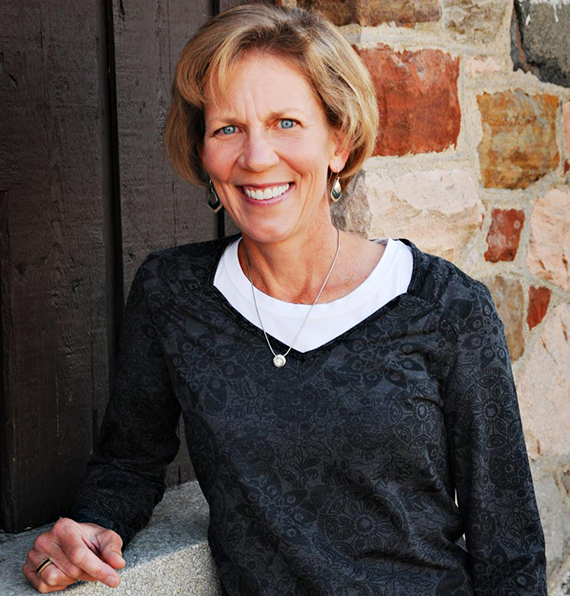 Since 1994, McManus has worked as a freelance writer and editor, specializing in travel and fitness. She has won numerous awards for her writing, most notably the prestigious Lowell Thomas Gold and Grand Awards for travel journalism. 1. As the book opens Chinese philosopher Lao Tzu reminds us—and Melanie—that “A journey of a thousand miles begins with a single step. ” Besides the first step, what were some critical “single steps” that marked McManus’s thousand-mile journey? 2. How was McManus transformed by her trail experience – what lessons did she learn, practical and otherwise? 3. Would you rather drive the support vehicle or hike the trail? Why? 4. How did being a woman shape Melanie’s experiences on the trail? 5. The journey has many challenges, and Melanie is honest about how she responds in the moment—portraying herself at times as grumpy, fearful, frustrated, discouraged. Does her honesty about her experience suggest that you, too, could survive and even enjoy a thruhike experience? Or does it dissuade you from attempting a similar endeavor? 6. Melanie chooses the trail name Valderi. What memories does the name evoke for her? What would you choose as your trail name, and why? 7. Did Melanie need to set a thru-hiking record in order to be successful? Why or Why Not? 8. At the beginning of her hike, Melanie relishes the opportunity for solitude. “The feeling is isolating, yet incredibly peaceful— so peaceful I want to bottle it up so I can pour it around myself when I’m back home and life gets too frenzied. ” Yet throughout the trip she eagerly seeks out a character called Papa Bear. How do the author’s feelings about solitude and about her busy life at home change over the course of her hike? 9. Why was finding Papa Bear so important? Was he, in the end, the most important character she found on the trail? If not, who was? 10. Each time McManus got lost on the trail she found her way to a new discovery, new friend or new insight. How did unplanned and unexpected moments affect her journey, practically and otherwise? WHS Press: Why did you decide to write Thousand-Miler? After I hiked the Ice Age Trail, I couldn’t get it out of my head: the trail’s beauty, the profound experience of thru-hiking a long-distance trail, the transformation that occurs when you’re out in nature every day. I also kept thinking about the other thru-hikers I’d met, and about how their trail tales were similar, yet different, than mine. One day I realized combining all of our stories would make a compelling read. WHS Press: Was there one part of the trek in particular that speaks to you and/or captures the Ice Age Trail experience? Many parts of the trail and my trek spoke to me in different ways. But one of my favorites was a segment mid-way through the trail. I popped out onto the top of a hill and a farm field spread out below. The farmer had mowed a pretty, curving path down the field for hikers to follow. It was edged in these knee-high, waving grasses. I felt like the trail was acknowledging my accomplishment by unrolling the red carpet for me, so to speak. I was quite emotional as I made my way down the path. It was then that I felt the trail’s real power and impact. Probably the day I hiked from the Albany area to the outskirts of Janesville. I had a raging case of cellulitis on the bottom of one foot, and that day I changed shoes a hundred times, but my foot still hurt with every step. It was also very hot and humid for the umpteenth day in a row, and I had to hike about six hours on a connecting road route under the broiling sun with not a speck of shade. The person crewing me did not have any ice, either, so every time I got water it was pretty warm and unpalatable. That was a tough day mentally. WHS Press: What do you want readers to most understand about The Ice Age Trail and the people who thru-hike it? The Ice Age Trail is easily accessible. Sixty percent of Wisconsinites live within 20 miles of a trail segment, and out-of-staters can quickly reach a segment from Chicago or the Twin Cities. So there’s no reason not to explore it. Hiking (or biking or snowshoeing or skiing) along the trail is a great way to get to see Wisconsin on a very intimate basis. The vast majority of people will never thru-hike a long-distance trail like the IAT, but those who do have a lot of physical and mental strength. 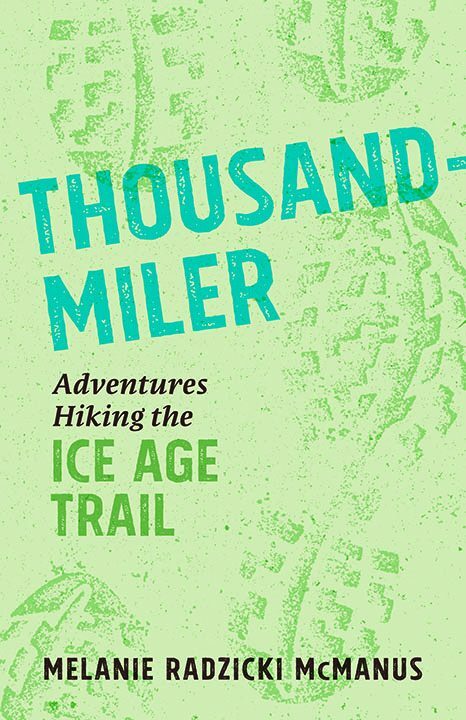 WHS Press: How can this book serve as a guide to the Ice Age Trail? Wisconsin history? Since the book discusses several hikers’ experiences, it gives readers a broad understanding of what you might encounter on the trail from weather to wildlife, and also different hiking techniques you can employ, as there’s no one “right” way to hike the IAT. It also gives a lot of snapshots of Wisconsin history, taking short peeks into everything from logging and rail-trail development to the Spanish flu and, of course, the glacier. WHS Press: What are the ways in which this book is a uniquely Wisconsin story? The trail runs only through Wisconsin, and the hikers and/or people encountered along the way are Wisconsinites. So it gives good insights into the state’s landscape, people and our sensibilities over time. WHS Press: As anyone can imagine, writing a book is a deeply personal experience. How has your writing of Thousand-Miler been so for you? It can be difficult to put your private thoughts on paper for the entire world to read and analyze. And it was hard to write about the times when I was snippy to people who were crewing me. But you have to be honest about the experience. WHS Press: What was your most revelatory experience in writing Thousand-Miler? How so many things in life are really inconsequential. When you’re hiking all day, day after day, and you only have to think about eating, sleeping and walking, life becomes so simplified and you quickly realize how silly it is to worry about things like holiday plans or cleaning the house. WHS Press: Much is said about how being out in nature is good for you. Did your hike confirm that? Absolutely! My stress levels immediately took a nosedive and stayed inconsequential for five weeks. When does that ever happen in real life?! Being in fresh air all day was also amazing; the smell and even “feel” of the air is incredible. Not counting blisters, I also felt much healthier overall. And while I often carried a pack, my back felt much better because I wasn’t sitting down so much, as I normally do. WHS Press: What do you learn about yourself when you hike a long-distance trail? You learn how strong you are, physically but mostly mentally. And you learn you can rely on yourself. A lot of us who hiked the IAT also learned that while we can rely on ourselves, it’s also nice to lean on the Trail Angels once in a while. They’re a wonderful source of support and knowledge about the trail. Letting them assist you enriches your experience, and hopefully theirs as well.